In this AskGSG segment, Rod Eiji asks us how to make this really nice render from FOREAL. We decided that Hair and Brushes would be the best way to go about it. First, Chris uses hair to grow the general shape. Then, he uses brushes to comb it into place. Next, we turned the hair into real geometry and lit it for the final render. I had to say thanks at least once for all the tutorials you guys make. 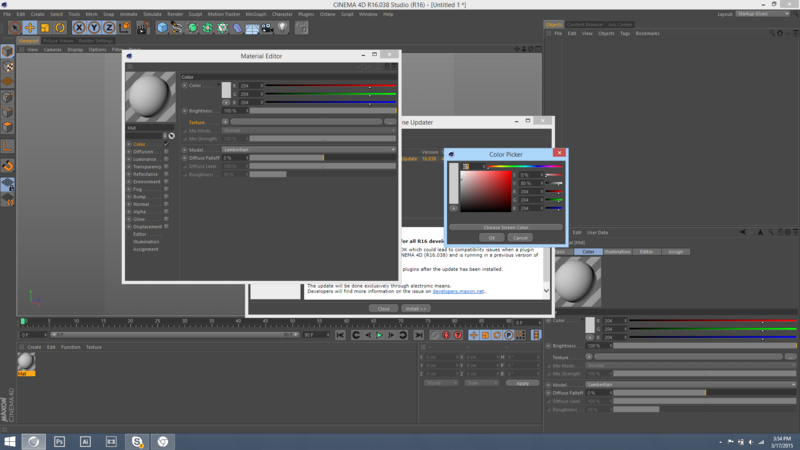 It’s very helpfull for people like me who learn C4d from scratch by themself. Started with cinema 4D because of greyscale’s tutorials, keep it up. Really enjoyed this one! Really cool. awesome guys, just what I needed to create a porky pine for a client…SWEET! so cool!! tks!! some tutorial about packaging whit chocolate , efects liquid , cream ?? greeting from Ecuador!! Hi Chris, I was just letting you know you can also shift-click the color palette and it’ll bring up the system color picker. Good tip! Did not know that. Global like can just be a normal light “Ambient Illumination” checkbox turned on. Be sure to dim it. Great tutorial ! you guys are my idol! Great..Pretty near to the result! I love the way how lighting was affecting on the objects and the environment seems cool and pleasant. Please make some way to crack this result.